What really goes on behind the scenes in a country town? An anthology of award-winning stories written on two levels. 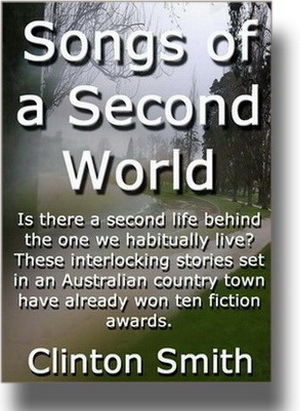 This is collection of inter-related stories set in the town where I grew up - Ballarat, Victoria in the 1960's. The tales dramatize predicaments in the lives of people living in, or linked to, that town and do so from two aspects - their inner lives and their outer. The theme of this anthology is the world behind what we take as actuality. The stories in this collection have won ten literary awards: two VFAW Awards, a Moomba Award, an Alan Marshal Award, four FAW Awards, a Shoalhaven COE Award and a Lane Cove Literary Award. Grey-garbed schoolgirl. Bony legs. Defeated spine. Narrow chest, face, thoughts. Skin peeled-pear pale. Perched in a gazebo, sucking pencil, clutching pad. Brolga knees pained by the hard wood bench. The Ballarat main street, traffic-eroded trench, had a central nature-strip. The gazebo erupted from that. Pompous roof. Steel arabesques. Grey-garbed schoolgirl bauble in a bon-bon. She gazed at buildings familiar as feel of teeth to tongue. Uninteresting she felt. Cold high, dry, bitter air, sucked across the plateau like thin cloud meant for marble-eyed highland sheep, not fleeceless girls in uniforms made less for the body than the eye. Pricked lungs, steamed breath. Twitch blazer collar up. Hold schoolbag to shelter chest, leather hard as cold as tin. Town Hall tower. Tower of the old hotel. Tower perched on the emporium like dropped ice-cream in cone. Viewing towers? To hold up clocks, see fires? Never anyone up there. Pointless. Just for show. Then she noticed the Gas Company a building one room wide with facade so fractured it seemed a new crackpot had built each floor. Arched windows, square ones, some with columns at the side. Broken arc at top with ornate stone bowls... jumbled heroics parading to washed-out sky. Beside it, a low thirties-style showroom sidled around the corner in a curve, its blank pastel fascia streaked with green-painted grooves. Old and modern rivals jostling for esteem. Next, centred in the side-street, a cream-brick council shithouse hissed its cisterns. In front of it was a model of the State's biggest nugget on a plinth. Come and see, then have a pee. What a dumb bit of town. Her pencil frolicked on the page, caught outlines as if the skill came from her hand. Features formed. The vain Gas Company wider at the top and sagging forward with grandeur. Exaggeration helped. Pencil bitten by chattering teeth. It looked weird, was going to be beaut. The Leaving Certificate Art Exam required students to submit three paintings. Two she'd finished. This was the third. In her room with the broken blind that her father never fixed she pinned paper to board and took out oil paints. Cratered tubes of lead, labels semi-detached, tops that didn't turn. Shrunken things. She loved the battered tubes, loved bending the hairs of each brush, smelling paint, varnish, turps. Painting took a week. The brushes made the streetscape live. It became a timeless textured world with a separate quirky life. It amazed her. She left school skipping, anxious to send the painting in. At the upper end of Sturt Street, beneath trees with falling yellow leaves, she noticed a letterbox-mouthed toddler running through dappled shade. The tot stopped near a ball discarded by a five year old boy. She picked it up, smiling, bright eyes asking if she could play. The boy snatched it from her. Shock on the child's face as hurt went through her unbraced heart. The horror of the world in one incident. Life forming scars. She crouched to soothe the child but knew the damage had gone in. She passed the Leaving Certificate, passed the Art Exam. Months later they returned her paintings. The streetscape never came back. Lost in the system, they said. Or had an examiner fancied and kept the regional masterpiece? Blue-garbed sophisticate. Attractive legs. Straight spine. Tempting breasts, face, hips. Skin moisturized and clear. Perched in an advertising agency, sucking Pentel, clutching pad, fighting a lingerie deadline. Scribbling concepts, hurting head. Idea-dry, stress-jagged, eyes glazed, she remembered the old town. The ball and the toddler's shock. She still hurt for that child. The girl freezing as she drew. She felt wistful about that girl. About her sadness when the wonderful painting was lost. Back to this pad, this scrawl, this stupid slogan she was stuck with. After her Cleo, Golden Lion and Mobius she knew she'd score. But Commercial of the Year! Unreal. The presentation. Her speech. Congratulations, photographers, interviews. An ardent alcoholic kiss by the agency Chairman. Tomorrow, she'd get calls asking her to name her price. She floated home in a taxi, secure for a year or three at least, wanting to breathe night air, smell moon-silvered sea, exult and dream. She left the taxi two blocks from her flat, schlepped on soft grass, the world at her feet. A glance at the stars. A flood of tears. Release. Sadness for that girl. Where was her painting now? If she could only bring it back, for that funny small person she'd been. What mattered? A lost school painting? Wasn't this present triumph great enough? Shoe-glint in ebony grass, shifting silk and blowing hair. She spread her arms as if to fly. Too drunk to know. But something did. Something not yet forgotten. To do with heart? Hope? Need? No lover this month. Just the fish. The award held against fish-tank glass. Check this out, guys! We WON! Stagger out of clothes. Clean teeth. Glance at the mirror. Hello, beautiful. You're whacked. That girl who felt life expanding with every step. The opening to things. How much she'd now been through. How many shocks and disappointments. How carefully honed her defence. Grey-garbed schoolgirl. Bony legs. Defeated spine. Narrow chest, face, thoughts. Skin peeled-pear pale. Perched in a gazebo, sucking pencil, clutching pad. Woe unto ye who offend these little ones.